If you found this web page while searching for a specific email text then you are almost certainly dealing with an email scammer. You better stop all communication immediately since this person is dangerous and will probably try to get you bankrupt within shortest time, if not even worse. 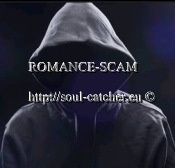 By the way, the smarter the scammer, the longer he will wait before he begs you for money or something else. Some internet user wants to become your friend or “falls in love” with you or your picture. Sucking out your wallet and bankaccount starts as soon as he guesses you fully trust him. How are you today?I feel like communicating with you, my name is linlian diop 25 years old single by marital.It is my pleasure with respect to cultivate a healthy friendship with you.I have great interest in making new friend, my hobbies are reading, teaching little kids in the camp, Today i found your id then i took the opportunity to write to you as i will really want us to be good friends and I will so much appreciate it if we can click together as one great friend. I will send you my photo at least for you to see who is writing to you, so that I will give you full explanation about myself, and my reasons and purpose of contacting you. CharlesWhere are you right now ?Am so happy you took the stress to get back to me here…Thanks alot dear..i guess you should know more about me..i dont know how this work, but hey! here is an exclusive. If at my age i do not know what and when to say, then what would i be? When a wise man sees he has probably spent about half of his time in life already, he begins to assess his main goals in life. What could be more important than a happy ending? LOL,.A man needs to live his life full of joy and happiness. No matter his achievements, he is reduced to nothing if he has no crown to complete him and that is a woman to call his own. Wife and Best friend. A woman who knows that even while arguing they still need to hold hands. A woman whom i can call a partner in crime,lol A woman whom you can tell anything. How could you think anything can make you happier in life than finding a love that knows no bound. To make you know more about me,.I will break this down to segments and it would be like a case study. MY BACKGROUNDI was born to a loving couple, a home, by an American man from Texas(USA) and a British woman. My father was an international business man who met this British orphan whose only family were close friends. She says there was something about the man that no woman could ever resist. sometimes she says she sees same in me,lol. During my father’s global movement,while i was twelve i left to study in lethridge Alberta in Canada where i decided to join and work for my Country…So i decided to join the US ARMY.My father died and she was left alone. I met my wife and best friend in Paris. she was a fashion model. Very good at heart. Actually i could say i met her in a funny way, would explain that later. (My her soul rest in peace)I was born in N.Dallas TX(USA) on the 8th of December 1961..that makes me 49yrs old..I have a beautiful daughter..her name is Victoria..she will be 16yrs old this year..she is in a boarding house in canada..been taking care of by our nanny.. Have been trying to be everything to her, ever since her mother left the world..Am presently on an assignment here in Afghanistan for the good and love of my country.. Am Sure you know more about us here.. probably you’ve seen and hard it in the news. This mission here is my last on the field and i will be through latest May..i shall quit field works and continue my works from my home office while my men do the field ops. I think i really have gotten to this height cos i embraced work for so long trying to get over my wife, that i worked this hard, but i think i now realize i can move on. Don’t be bordered about the distance between us.. as i am ready to spend the rest of my life with you after my final mission here.. i am ready to join hands together with you,Build a new house and most importantly build a home in your country….Only if it we finally love each other and it works well.. MY DREAM I have told you how my typical dream day would be like, i just want to spend the rest of my life enjoying the fruit of my labor. I just want a woman who would be my best friend and everything. You know someone whom we would still love each other more as the days pass by, even when we cant make love anymore and all we could do is play bingo,LOL. I am a total package , i only need someone who understands the value of a good smile. I cant wait to hear back from you. please write me soon my dear.